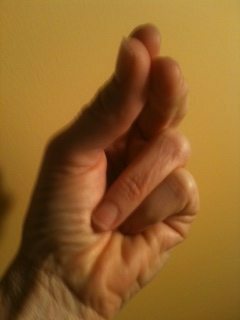 Here’s another powerful yoga mudra (hand gesture) to use. It’s called Kubera Mudra for achieving goals and more. I’ve been adding it to my daily meditations and using it during my yoga posture practice. I especially like using it when setting goals and intentions. Please don’t take my word for it. Instead, try it out for yourself and let me know how it goes. Physically, it opens and decongests the frontal sinuses. Hold the mudra while breathing as if you were sniffing a flower.